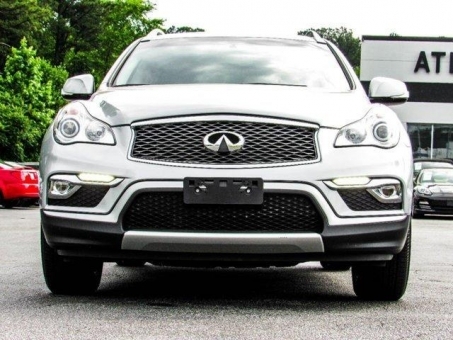 Very clean 2016 INFINITI QX50 AWD 3.7! without danages! Low miles, excellent interior and exterior. AUTOMATIC HEATED LEATHER SEATS, SUNROOF, CD PLAYER, BLUETOOTH, REAR VIEW CAMERA, PARKING SENSORS, CLIMATE CONTROL AND MUCH MORE! The easiest way to buy a quality vehicle at very competitive prices waits for you at Auto Auction Houston - one of the most popular southern auctions ever. The most attractive local car deals are at your disposal in our listings: choose a car auction that suits your needs and requirements and bid on the car you like. Our modern and handy bidding system allows you to closely follow the auction process and to enjoy the competition for the used car on auction you want to get. Our Car Auction Houston is a public and trade auction, which means that we cater for all dealer and private customers throughout the USA. At Houston Public Auto Auction the Auction Service is designed to be as user friendly as possible and to let our customers make the most profitable and memorable car deals on auction. Looking for a great variety of cheap quality used cars for sale you'll do well to browse our Houston auctions and to pick the offer that is just for you. Let's become reciprocally useful, try the facilities you can find only at our Car Auction in Houston and you won't look for anything more! Houston Car Auction website provides thousands of cars that are just waiting for you to bid on! Most of these cars will be at least 50% below the retail value. By taking advantage of this, you can easily save thousands of dollars on a car. Find your deal and receive more Profits!